Although crystal clear for anyone involved in nuclear safety in France, the message on this ITER employee's T-shirt is cryptic for many. 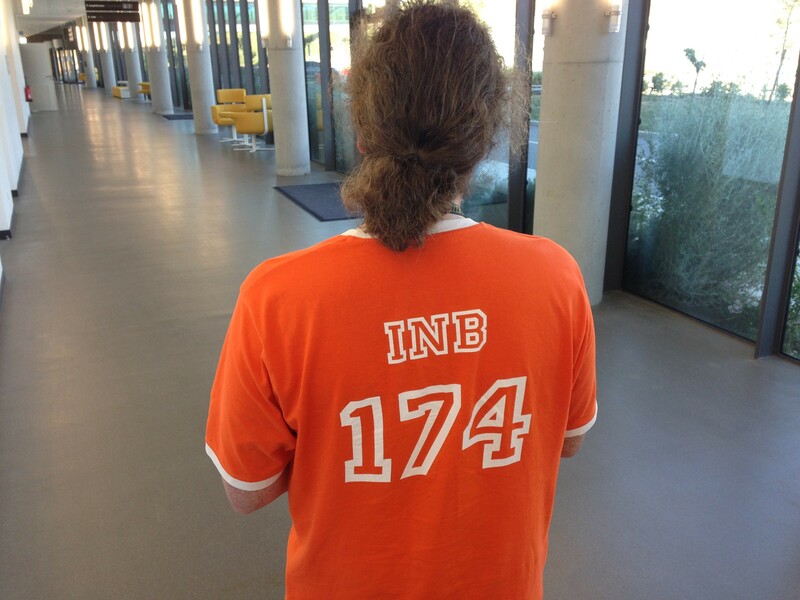 According to French nuclear licensing procedures, "INB 174" is the official name of the ITER installation. It stands for Installation nucléaire de base, a category that includes all civilian installations (reactors, fuel fabrication or recycling plants, waste storage) that handle nuclear material. There are presently 126 INBs in France. ITER became INB 174 in France in 2012 when, following an 18-month examination of ITER's licensing files, the French Prime Minister signed the official authorization decree.